If you want to print both quality photos as well as crisp documents, the PIXMA MG2525 Inkjet All-In-One is the printer for you. Its hybrid ink system combines dye ink for vivid colours and black pigment ink for sharp text. 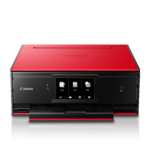 It lets you produce beautiful prints at home with a maximum print colour resolution of 4800 x 600 dpi1 using FINE print head technology. The stylish PIXMA MG2525 has a compact body, so it fits just about anywhere in your home. Full HD Movie Print2 turns your favorite HD movie clips captured with your compatible Canon EOS Digital SLRs, PowerShot digital cameras and VIXIA digital camcorders into beautiful prints! 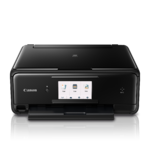 And the Quiet Mode lets you print anytime without worrying about disturbing those around you. 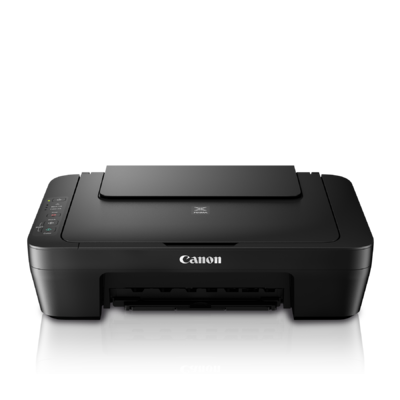 Plus, the Auto Power On feature automatically powers up the printer whenever you send a photo or document to be printed. In fact, the PIXMA MG2525 is a certified silver EPEAT (Electronic Product Environmental Assessment Tool) imaging device. The PIXMA MG2525 comes with My Image Garden3 software that puts all your favorite printing features, such as Special Filters and Full HD Movie Print2, in one convenient software application. Celebrate your vivid memories by creating custom prints from your treasure trove of photos and videos. My Image Garden3 also helps you organize your photos with calendar view and facial recognition. Plus, creative templates in various colour combinations and patterns help to inspire your photo projects. In addition, you’ll have access to CREATIVE PARK PREMIUM4 where you can download exclusive creative projects and content. 1Resolution may vary based on printer driver setting. 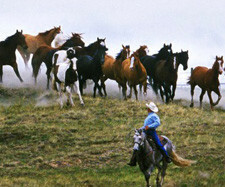 Colour ink droplets can be placed with a horizontal pitch of 1/9600 inch at minimum. 2"Full HD Movie Print" is available from "MOV" and "MP4" movie files created by select Canon EOS, PowerShot and VIXIA digital cameras and camcorders. Requires PC, or Mac with Intel® processor and Canon ZoomBrowser EX 6.5 or later or Canon ImageBrowser 6.5 or later for "MOV" files, or Canon ImageBrowser EX 1.0 or later for "MOV" or "MP4" files. 3To install using Windows® OS, .NET Framework 4 is required. Compatible still image formats are PDF (created using Canon PDF Creator only), JPEG (Exif), TIFF, and PNG. Compatible video formats are MOV (from select Canon digital cameras only) and MP4 (from select Canon digital camcorders only). 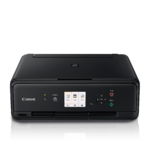 4CREATIVE PARK PREMIUM is a premium content service available exclusively to users only when all of the colours of genuine Canon inks are installed. 5ISO/IEC 24734, 24735 define the default print and copy speed measurement methods. Print speeds are the averages of ESAT in Office Category Test for the default simplex mode, ISO/IEC 24734, excluding time to print the first set. Copy speed is the average of FCOT, ISO/IEC 24735 Annex D. ADF copy speed is the average of ESAT in General Performance Test for the default simplex mode, ISO/IEC 24735, excluding time to copy the first set. 6Optical resolution is a measure of maximum hardware sampling resolution, based on ISO 14473 standard. 7System requirements vary by application. For Mac OS, an Internet connection is required during software installation. For Windows OS, .NET Framework 4 is required to install My Image Garden, Quick Menu, and Easy-WebPrint EX software. 8Warranty programs are subject to certain conditions and restrictions. 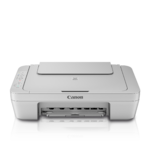 See canon.ac/support for details.